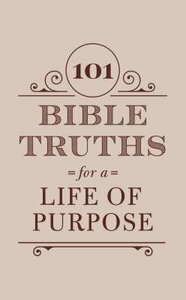 101 Bible Truths for a Life of Purpose is a timely devotional that will remind you of your purpose and God's plan. Each devotional reading and prayer reflects on a specific Bible promise to help you discover the secret to a fulfilling, abundant life-a life of purpose in Christ-no matter the state of the world around you. About "101 Bible Truths For a Life of Purpose: Inspiring Devotions, Bible Promises, and Prayers"
-->Ed Cyzewski (MDiv Biblical Theological Seminary) works as a freelance writer in the nonprofit sector of southwest Vermont. He is the author of Coffeehouse Theology: Reflecting on God in Everyday Life--> an introduction to contextual theology as well as the Coffeehouse Theology Bible Study Guide--> and the Coffeehouse Theology Contemporary Issues Discussion Guide-->. -->-->Ed serves as the chair of the Northshire Nonprofit Network and with several ministries and nonprofit organizations in Vermont. He blogs regularly on theology at www.inamirrordimly.com and on writing at www.edcyz.com.